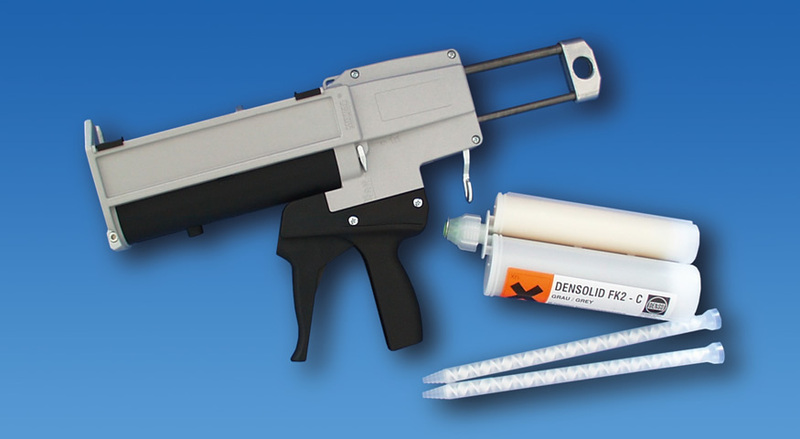 We recommend DENSOMIX® processing equipment for the simple and safe application of DENSOLID®-FK2 C, DENSOLID®-HK7 C and DENSOLID®-HDD. 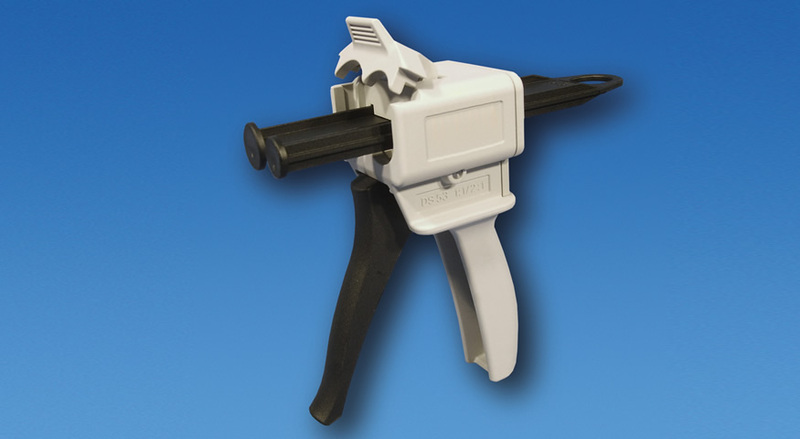 Manual cartridge dispenser for two-component polyurethane systems in cartridge packaging. 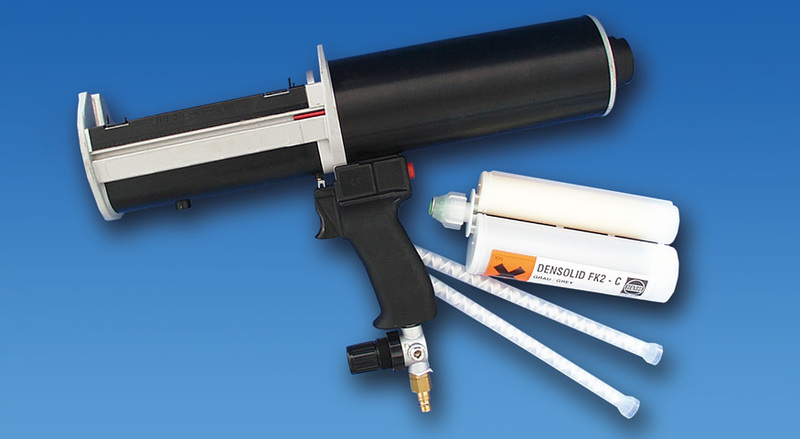 Pneumatic cartridge dispenser for 2-component polyurethane systems in cartridge packaging.